Resilience is becoming a familiar word with the current economic situation in agriculture. UMASH and many organizations are teaming up to address this issue for farmers and those key people who work with farmers, farm families and their workers. Carol Peterson and Meg Moynihan (MDA) attended the Ag Resiliency Series session in Mankato, MN on February 15, 2019. 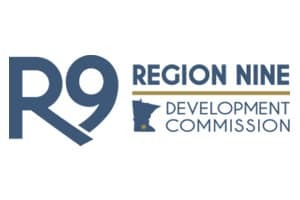 In Minnesota, Region Nine, a federally designated economic-development district has recently partnered with the Minnesota Department of Agriculture (MDA), Minnesota State University – Mankato, and South Central College (SCC) to host informational sessions to support farmers in the region. The Ag Resiliency series featured Dr. Amit Sood, MD, creator of the Mayo Clinic Resilient Mind program. Dr. Sood discussed the brain’s reaction to stress and one’s personal resilience. The three F’s of brain science relative to stress and resilience include Focus, Fatigue and Fear. Focus – people spend approximately half the day with a wandering attention. Dr. Sood recommends trying to cut this time in half and to focus our time and attention. Fear – stress multiplies and the brain reacts. When one has physical pain ( i.e. step on a tack, the reaction is to withdraw) Mental/emotional pain does not withdraw, rather goes deeper which results in fear. Dr. Sood’s messages focused on practicing gratitude to take back control. He recommended practicing gratitude first thing in the morning for 2 minutes. This primes your mind to think positive. He also suggested to develop a resilient mindset or attitude by reframing and working on these 5 topics essential to building resilience: gratitude, compassion, acceptance, meaning and forgiveness. Finding methods to combat stress, depression, anxiety, loneliness and other effects of the farm economy can be seem like small steps, but important ones as we all work together to support farmers.